Dr. Huixin Wang always appreciates feedback from her valued patients. To date, we’re thrilled to have collected 23 reviews with an average rating of 4.91 out of 5 stars. Please read what others are saying about Dr. Huixin Wang below, and as always, we would love to collect your feedback. Chipped a tooth during the a.m. hours and Dr. Wang squeezed me in a 4:30 for a small gring and polish. Everything is fine. Honest, thorough, professional. I've searched all over for the right dentist and found that in Dr. Wang! Dr Wang is awesome! She has a great sense of humor and is very personable which makes your appointment more enjoyable. Her assistant is funny and likable. Delores is great as always. I love going to this place. They are so nice. And really great job .no pain !. 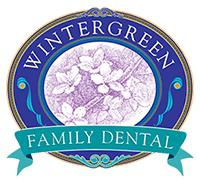 Excellent dentist and very friendly.staff is very nice. Dr. Wang did a great job explaining treatment options -- pros and cons of different treatments -- in non-technical terms. While the actual cleaning was professional and fast, I was far more impressed with Dr. Wang's open dialogue. She went the extra step of explaining precisely how and why issues arise, how to prevent them (and why those preventions work), and what the courses of action are afterwards. I've never had an explanation at a dentist's office, and I've come out of my cleaning with a bit more awareness and education about my health. Love the doctor. Love the staff. The doctor and her staff are outstanding ! I Wouldn’t go to any other dentists! Highly recommend it for you and your family, you won’t regret it ! Dr. Wang is always kind and thorough with her care. 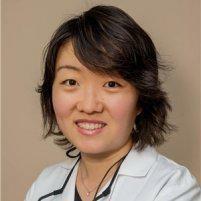 Dr. Wang is a true professional who knows how to get the highest quality results for her patients. Caring, courteous and razor sharp intellect. Stopped in with tooth pain. Dr. Wang took time to assess and fit me into her schedule to fix the problem! Excellent service and bedside manner-highly recommendation! I am very satisfied with each visit with Dr. Wang. The staffs are very professional and friendly.